Turn heads while on your next spin. 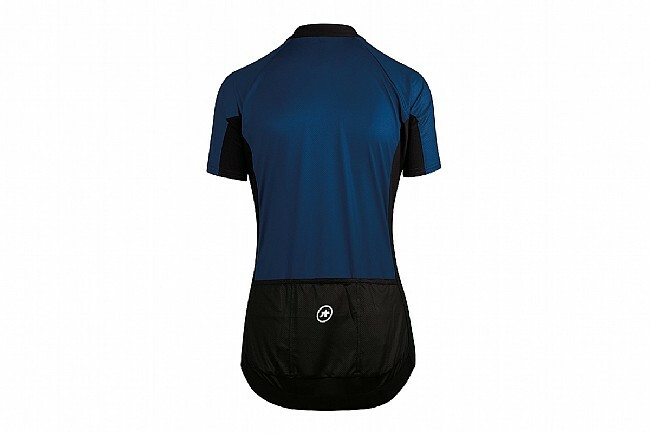 Delivering performance, style, and comfort all in one, this short sleeve jersey features a lightweight construction with eye-catching styling. 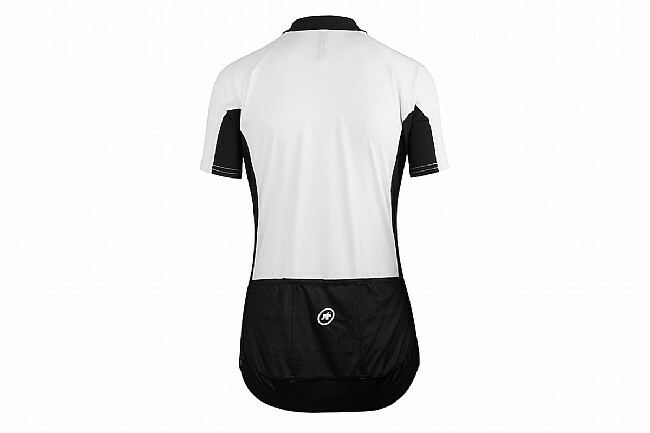 Elevate your look while improving your performance with the SS_umaJerseyGT from Assos. 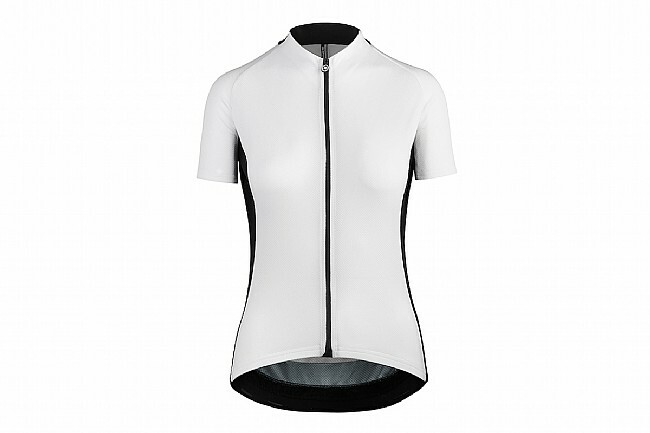 Featuring Assos' new women's-specific regularFit, this jersey is less compressive than their raceFit, but still up to hard riding without sticking out at the mid-ride coffee stop. 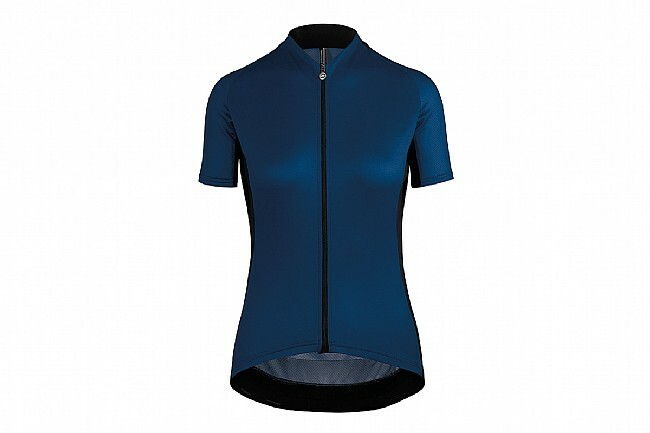 A full-length zipper allows for on-the-go breathability adjustments, while the jersey is constructed with Assos' Dual Tex fabric for lightweight moisture wicking. 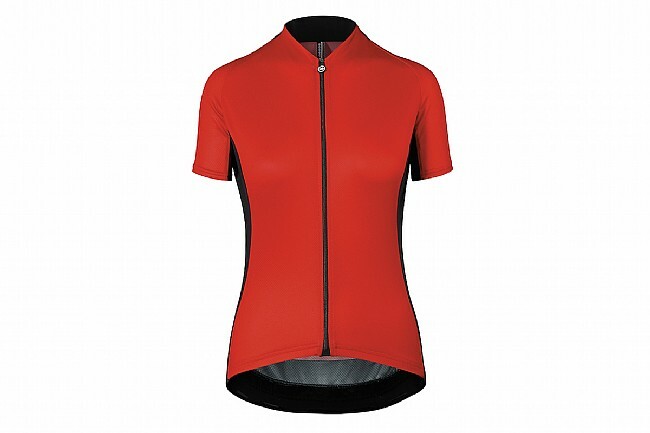 Lightweight, moisture-wicking, and eye-catching; this short sleeved jersey looks good, feels good, and keeps you riding good. Women's-specific regularFit is slightly more forgiving than raceFit, while still performing well. 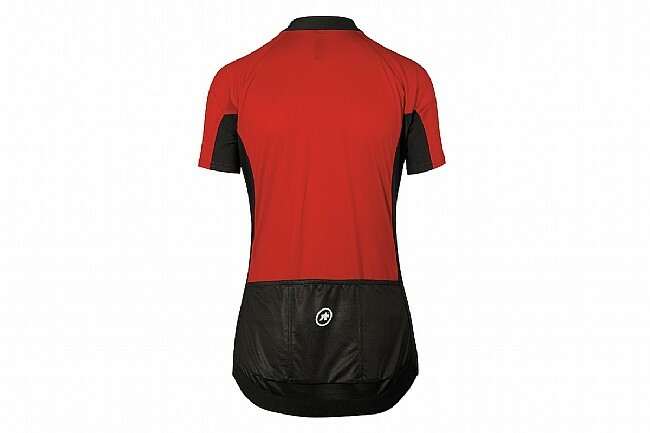 Type.112 Dual fabric construction is lightweight, breathable, and highly moisture wicking. Triple Ramp pocket design optimally positions the pockets for ease of access and stability.